The Saxon villages of Transylvania are well-known, and well worth a visit. But there is lots more to Romania, one of the most fascinating countries in Europe. 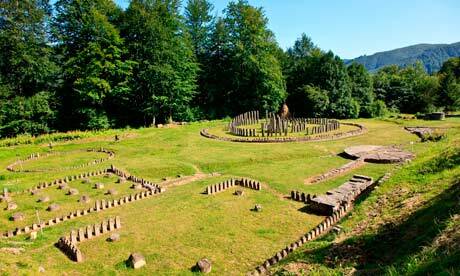 In the part of Romania that used to be called Dacia are the ruins of Ulpia Traiana Sarmizegetusa. Take a bus from the town of Santamaria-Orlea, hop off when the locals tell you, and you will be enthralled by the size of the site: it has every building a Roman settlement should have. If that is not enough, a short walk down country lanes brings you to beautiful Unesco-listed Densus church, made from stones probably taken from a Roman mausoleum. Admire icons and Romanian impressionists in Sibiu’s Brukenthal Museum (brukenthalmuseum.ro) on Piata Mare (Big Square). Stroll to the nearby Liars’ Bridge, Romania’s oldest cast-iron bridge, said to collapse if you tell a lie when standing on it. Visit the 14th-century evangelical church, where the son of Vlad the Impaler was stabbed. Stay at the elegant Hotel Imparatul Romanilor. 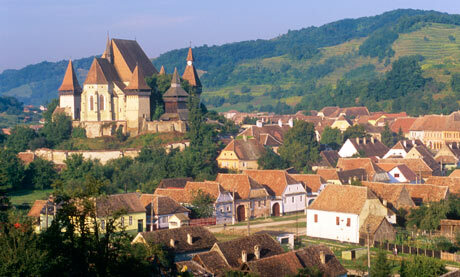 If you’re visiting Sighisoara and Sibiu, take a bus to some of the Saxon villages of Târnava Mare. Most towns preserve their history with names in Romanian, German and Hungarian. Settlements such as Biertan (also called Birthälm or Berethalom) and Richis (Reichersdorf, Riomfalva) boast extraordinary fortified churches, sleepy monasteries and a tangible sense of the past. A small Christmas Market is held in the beautiful setting of Sibiu’s central square. It is straight out of Ruritanian romance, and there’s a very good chance that there will be snow to add to the atmosphere. There are plenty of cosy cafes around the square and the glühwein was only 60p a glass. We stayed at Casa Luxembourg in the centre, which was both comfortable and very reasonable. In a forest near Sighisoara, we found ammonites in a forest stream, saw really beautiful insects, and picked and ate delicious wild raspberries with our picnic, which included the ubiquitous strong plum spirit. The raspberries were also sold at the roadside by gypsy women and girls along with baskets of fungi. In the middle of nowhere on a wooded hill we came across an American archeology professor plus students excavating a fourth-century Hunnish settlement. And as we crossed a stream on the way back, there glistening in the mud was the very recently formed spoor of a large brown bear. Casa Cu Cerb (casacucerb.ro/en) in the medieval citadel does amazing pork dishes. This bear rescue centre is a wonderful experience. It is 5km outside a town called Zarnesti, easily reached by train from Brasov: you will need a taxi from Zarnesti. Book in advance: they need a minimum of 10 visitors. 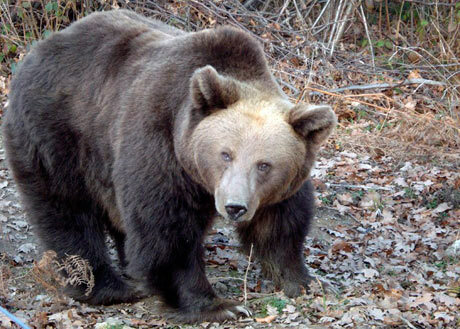 You will see bears (60 to 70) that have awful histories but are now living in a safe and happy environment. Viscri is a pretty Saxon village north-west of Brasov with a fortified church that’s a Unesco world heritage site (climb the tower for great views). Many Saxon buildings have been restored and a traditional way of life endures – the cows are driven to the fields in the early morning, returning in the evening, and people use horses and carts. You can stay in a guesthouse belonging to Prince Charles. The Nomad camp is in an idyllic small village in Transylvania, away from the distractions of modern life. The restaurant serves delicious traditional fare including fresh fish from the camp’s lake. It’s a million miles away from English camping: you spend the night snuggled up in a luxurious yurt with a log fire and animal skin rug. Cleanse your skin and your soul as you bathe in the camp’s salt bath, or treat yourself to a massage. It’s a comfortable and completely unique experience, and great value (B&B €15pppn). My parents took me to this complex of restored farmhouses when I was 14 and very interested in eastern Europe. We arrived to gorgeous rolling countryside, with wildlife including golden oriole and eagles. 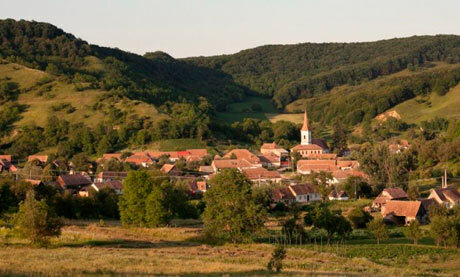 This Saxon/Romanian village was friendly and tranquil, and Valea Verde was run on an easygoing basis that helped support the community. The food was excellent, especially the veranda breakfast. The traditional ways, solid churches and castles were a fascinating contrast to the relics of communism. Di and Jez provide a fully inclusive stay in this traditional Saxon village with its storks, howling dogs and unmade roads. Di’s food is outstanding, and the highlight are the tours, tailored to what you want to see, from salt mines to mountain peaks, remote hill walks, bustling markets, historic towns … and they even collect you from the airport. (they are working with FMN rent a car http://fmnrent.com) This is the best way to get to know Transylvania. An inevitable nod to Romania’s literary heritage. Spooky inside and out, with themed, good-value meals and friendly staff, it offers a chance to „taste the preparations served to Jonathan Harker on his visit to Count Dracula’s castle„. Dubbed Little Vienna, Timisoara, birthplace of Romania’s revolution, has a ring of parks, a lovely river, pretty squares, an opera house, a theatre-in-the-park, museums and a sensational art gallery. Hotel Central has no frills, but is clean and cheap. 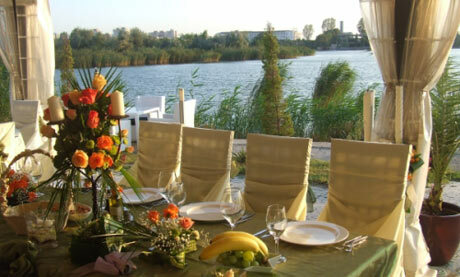 This has an idyllic location on a spit of land between Lake Siutghiol and the Black Sea. Prices are low and the cooking is almost a floor show – the cheery chef prepares food at the table, mostly freshly caught fish. Sighet, on the border with Ukraine, has an oddly stately and historical feel. It has a fascinating market, and splendid, head-scarved matriarchs sitting behind stinking vats of good cheese. Try the old-fashioned Coroana hotel. The Museum of Arrested Thought, housed in a former jail, offers moments of genuine sadness and quiet despair, but the Merry Cemetery makes mortality amusing and vibrant.